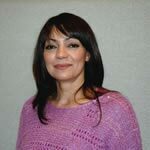 Lupita is a recent addition to Mexpro, but has been a Mexico insurance agent since 2005. David Joined the team in early 2017 as an intern helping out the wholesale team with Denny and Nick. After getting his Property & Casualty licenses he also works in our call center while pursuing a degree at Northern Arizona University. During his spare time he likes to play hockey, go outdoors and spend time with his friends and family. Angelica (A.K.A. 'Luna'—in the office—since we have three Angelica's) joined the Mexpro team in the summer of 2009 and is a licensed P & C agent. 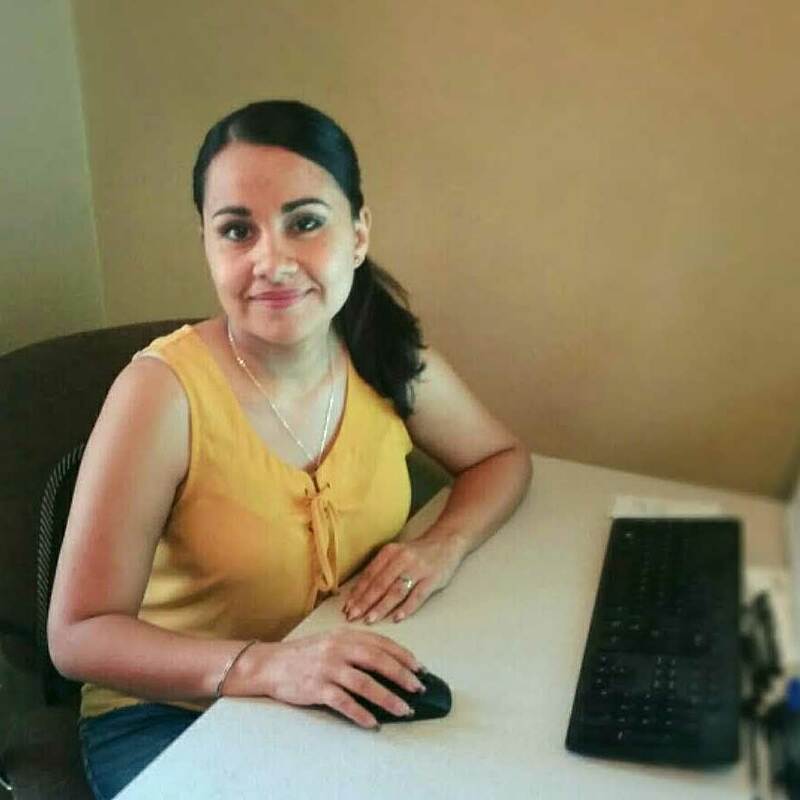 With a degree in Business Administration in Tourism from the University of Mexico City, Mexico, Angelica brings ten years of bilingual sales and customer service experience with her to Mexpro. She was also employed as a licensed real estate agent in the state of California. Her interests include traveling, cooking, hiking and spending time with her husband, family and friends. George spent many years working at Northern Arizona University, where he also received his MBA before joining Mexpro. George began as a contractor for Mexpro in 2000. At that time, he helped build our first online 'quote/purchase/bind' system, aptly named 'Version 1 (V1).' Since that time, he assisted in the maintenance of V1. After V1's retirement in 2009, George has worked in various areas within IT. He is currently our IT project manager. Alexandria was born and raised in Tempe, Arizona. 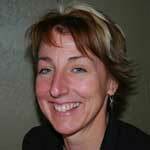 She attended Northern Arizona University and Coconino Community College to obtain business degree and P&C License. Since 2016 Alexandria has been working from the Flagstaff office, managing customer policies as well as assisting with management projects. 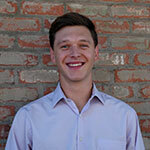 Nick joined Mexpro in 2015 and has a Political Science degree from Northern Arizona University. 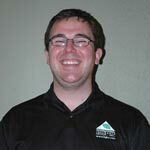 He works with the Agent Retention & Expansion team growing and providing assistance to all of our agency relationships. He recently moved back to his home of Cleveland Ohio with his wife. They have three rescue puppies and enjoy spending time in the woods with them hiking. He is a hockey fanatic with his team being the Pittsburgh Penguins. 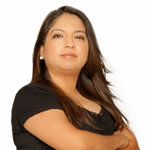 Anjelica is a licensed agent serving Mexpro customers since 2008. Originally from northern California, and various other places, Anjelica comes from a family of motorcycle enthusiasts...and owns one herself. Her greatest treasures are her three boys and little girl. Danielle joined our staff as a high school intern in September of 2012 providing general office support. 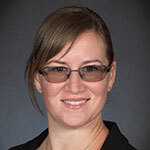 Since then, she has not only continued her education at Northern Arizona University, but has gained valuable work experience in service and accounting. In her free time, Danielle enjoys attending concerts, traveling to new destinations, and spending time with her family and two cats. 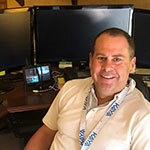 Since 2002 Alan has worked in the position of management consultant for several aspects of Mexpro's Cross Border business, including professional motor sports. His core business is commercial cross border insurance. In the past Alan has worked and lived in Mexico, Chile, and Puerto Rico performing Latin America Regional management responsibilities for AIG and ACE, Ltd. Alan is President of Proyecto Compasión, an IRS 501(c)3 which provides humanitarian assistance in Mexico's northern state of Sonora. He and his wife, Esperanza, have close business and personal ties to Latin America. Alan hasn't missed a Baja 1000 off road race since 1978. Greg, the newest member of our IT department (2017), has been a welcomed addition with years of knowledge and experience, and a great attitude. 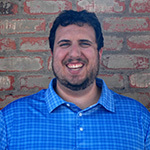 Greg is responsible for documenting all changes to our patented quoting system and testing them and other changes to our website. He also makes sure all our computers and phones are in top shape and working order. He is imperative to all our employees being able to do their job. In his spare time Greg likes to hike, drive fast cars, and spend time in Europe with his girlfriend, Masha. 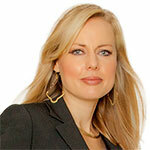 Andrea co-founded Mexpro and now works as the strategic director, in charge of our website, quote forms and marketing. In her free time she likes to travel, play golf and hockey, and spend time with her two sons, Matt and Jimmy. 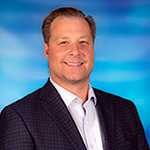 Applying an extensive background in insurance (underwriting, sales, customer service and marketing), Jim revolutionized the distribution of Specialty Personal Lines insurance back in 1999, when he co-founded Mexpro (with his wife Andrea). Today Mexpro is one of the leading agency/MGA providers of Specialty Personal Lines insurance. 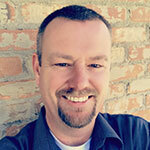 Jim is the Wholesale Strategic Director for IIG, and oversees the Agent Retention and Expansion team. In his free time, Jim likes to travel (to Mexico a lot), play golf and hockey, ski and spend time with his sons. Denny joined International Insurance Group in the summer of 2013. Denny is originally from Calgary, Alberta, Canada. 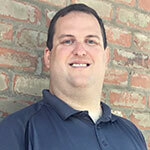 Denny is the Wholesale Manager for IIG, and leads the ARE Team (Agent Retention and Expansion). He is the father of three young boys who play all kinds of sports and music. His positive demeanor is refreshing and pleasant, and he is dedicated to making all customer insurance experiences great ones. Jack is known by his peers as an IT genius -- highly versed in many types of programming code and very astute in the subject of insurance, as well. 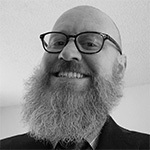 Prior to joining Mexpro in 2003, Jack spent most of his time programming as a contractor. In his personal time, Jack is a motorcycle enthusiast and also enjoys bicycles, computer gaming, hiking, and his dogs Su, Sophie and Wiggles. Ben is another one of our bilingual representatives. Has experience in several fields as Spanish speaker, which allows enjoyable communication with all those whom he comes in contact with. He is currently studying Computer Science at Northern Arizona University with a minor in Spanish. He has earned the Rank of an Eagle Scout from the Boy Scouts of America and has merited one of the positions of one of Arizona's Academic Scholars. He has served as a Spanish speaking missionary in Houston. He joined the Mexpro team in May 2013. He enjoys learning new things, listening to different types of Music, singing, spending time with family and friends and meeting new people. 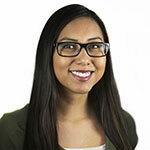 Since 2007, Roxanna has been the front-end Website designer for Mexpro, and now serves as our SEO/SEM go-to. 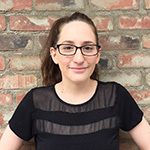 She is highly trained in web design and spends a large portion of her time trying to make the buying and information finding process easier for our online customers. In her previous life Roxanna was a professional rock climber, which led to her positions as a rock climbing guide and Las Vegas's first female high rigger. You may have also seen her on the sidelines of an NFL football game, as she was a rigger for CableCam. She has written books & hundreds of articles. Roxanna has a degree in Chemical Engineering from Arizona State University. In her spare time she continues to rock climb, travel, and hang out with her husband Rich and dogs Champ & Harry. Mike has been a part of the Mexpro team since the summer of 2009 and now manages our Mexico home and condo owners insurance program. He has earned the CISR (Certified Insurance Service Representative) designation, and he has nearly two decades of bilingual sales and customer service experience. His previous work roles include: Project Manager, Corporate Trainer, and U.S. Army Master Instructor. 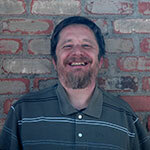 During his free time Mike enjoys camping, hiking, motorcycling, and playing music. 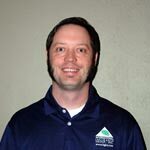 Since its inception in 1999, David has assisted the company by providing ongoing remote accounting support. He has extensive experience in accounting, financial management, tax preparation, and financial consulting. An insurance industry veteran, David has held a variety of positions including Accounting Manager and Controller for several insurance agencies/brokerages. David's private tax practice has been in operation since 1990. David is a native of the Midwest, where he earned an Accounting degree from Iowa State University. 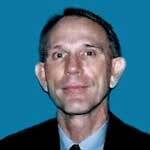 He has been a Certified Public Accountant (Arizona) since 1987. His hobbies include golfing, hiking, SCUBA diving, and snow skiing. Angelica joined Mexpro in the summer of 2013. She is originally from Mexico, but moved to Arizona at a young age. She graduated from Arizona State University with a degree in Computer Information Systems. During her spare time she enjoys watching all types of movies, reading, and spending time with her friends, family and her dog Mia. 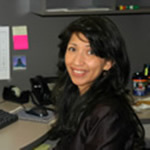 Since 2004 Alicia has been a solid, dependable member of the Mexpro staff and now serves as our Call Center Manager. Highly cross-trained, Alicia could work in all of Mexpro's business divisions. In her free time Alicia enjoys spending time with her two boys, husband and three dogs. With very artistic talents, Alicia also enjoys crocheting and creating art on her own, and with friends. Katie pursued a degree in acounting after raising children and has been in the field for more than 23 years, specializing in manufacturing, retail, non-profit and service industry positions. While pursuing her degree, Katie also obtained a captain's license and gave boat tours with her husband in Northern Louisiana. With Mexpro since 2008, Katie also enjoys painting and crafts. 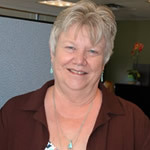 Her favorite time-off activities include spending time with her three grandchildren and other family members. Nate started with Mexpro in 2003 as a Bilingual agency producer, then became General Manager, then COO, and now is the President and Managing Director of the company. He loves the insurance industry and business in general; he takes great pride in the successful operation of all aspects of our company. With an education in Marketing, International Business and Spanish, as well as an MBA he is always looking for ways to keep our position as the market leader. Nate also possesses the CIC (Certified Insurance Counselor) designation. Nate loves to travel (sun seeker) and to spend time with his four boys and wife; he is also a big sports fan.